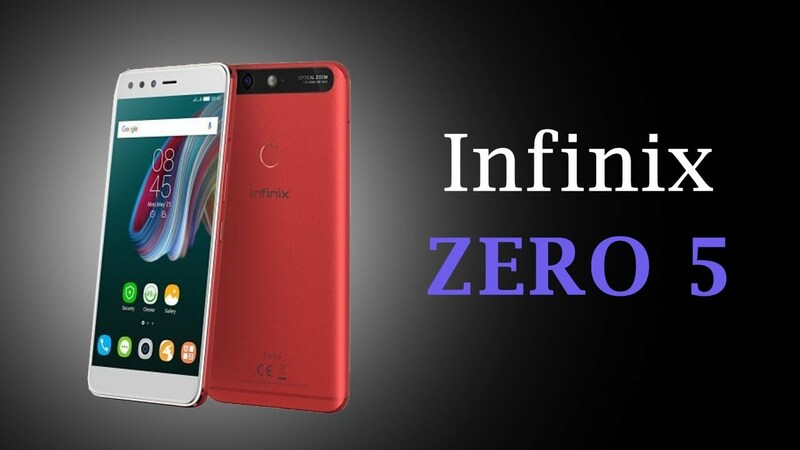 The latest smartphone to be introduced by Infinix is the Infinix Zero 5. It has some amazing features that make it special, such as the dual camera. It will be coveted by a lot of tech lovers. The Infinix zero 5 has some great specifications. 1080 x 1920 pixels screen resolution. 12MP and 13MP dual rear cameras. There are some key features of infinix zero 5 that makes it outstanding, they are discussed below. Camera. The camera is a key feature of this newly manufactured smartphone. It has dual rear cameras with 12MP and 13MP sensors for great captures. The infinix zero 5 is developed mainly to be camera-strong. The camera sensors have been tested and we have already seen how great the pictures are. It will also be very good for selfie lovers with the 16MP front camera. The phone was indeed made as a camera-specific phone. Design and Display. Infinix Zero 5 is made of quality materials that make it special. It has a 5.98-inch IPS display with 1,920 x 1,080 pixels screen resolution. The screen resolution gives clear display when put to use. If you decide to watch an HD movie on the infinix zero 5, you will enjoy the experience as it displays very clear images. The screen has corning gorilla glass 3 for extra protection from scratches. The body is made of metal and the edges of the phone are chamfered edges. It has a USB-C port that allows faster transfer of data and stronger USB cable. There’s also a 3.5mm headphones jack. The SIM card slot is located on the right side of the phone. The power button and volume buttons are also located on the right side. The phone is available in 3 colours, Champagne Gold, Bordeaux Red and Sandstone Black. Hardware and Software. The Infinix Zero 5 is run by a 2.6 GHz octa-core MediaTek Helio P25 processor. There is 6GB of RAM which allows different apps to run easily on the phone without crashing.It has a huge internal storage of 64GB. These features will allow gaming and proper graphics functions on the phone. Games that require a lot of RAM and processor have been tested on the phone, and they performed well without any breakdown. It runs on the Android 7.0 Nougat as well and the XOS 3.0 for Infinix devices. Battery. It has a battery of 4350mAh capacity. This is an amazing feature that will make many people love it. The battery can last for up to a day when fully charged. That means you can charge it just once in the morning and use it until evening at your convenience without having to worry about charging. It also has flash charging feature which allows the phone to charge fully in just under 2 hours. Other features worth mentioning are the connectivity options. The Infinix Zero 5 enables 4G LTE connectivity. All the mobile networks with 4G connections can be used as network provider on the phone. It as well supports 3G and Edge. The price of the Infinix Zero 5 in Nigeria varies from N100,000 – N120,000.